Picking out a favorite issue of Amazing Spider-Man is akin to a parent picking their favorite child. Sure, secretly, deep down, they recognize that there’s a black seep in the family, but that can never be publicly acknowledged unless the parent is willing to foot an expensive therapist bill to help the child cope with such traumatic news. With all the said, I am absolutely giddy to now be a proud owner of Amazing Spider-Man #5, a long lusted after issue that is finally in my possession thanks in part, to the apparently great accomplishment of turning 30 earlier this month. You probably all thought I was joking around when I recently said that I made out like a bandit for my birthday this year and while I’m sure some of these posts are bordering on the edge of gloating – I’m honestly just ecstatic to be sharing these embarrassments of riches with my fellow Spidey/comic book enthusiasts. 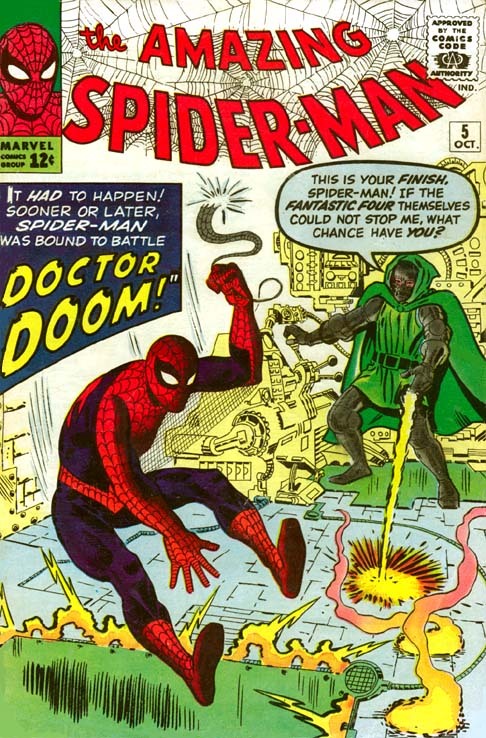 Opening up a package that included ASM #5 was a moment of unbridled joy for numerous reasons, most notably because it marked the first time Spidey locked horn with all-time Marvel great, Doctor Doom. I’ve already shared my love letter to Doom a few months back, so I won’t bore you with the same story twice. 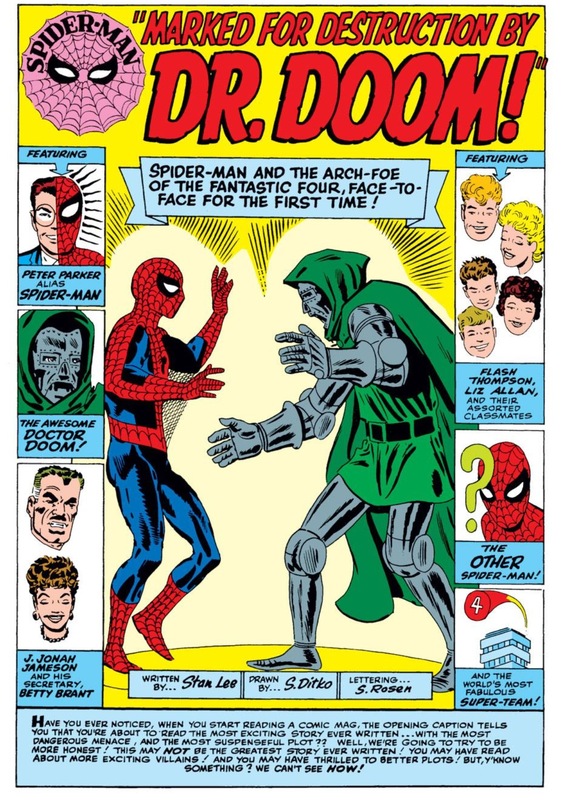 However, it’s worth adding that Spider-Man and Doom have faced off so infrequently, lending those events a “special quality.” To own the first actual fight between the two brings me an immeasurable amount of personal satisfaction. 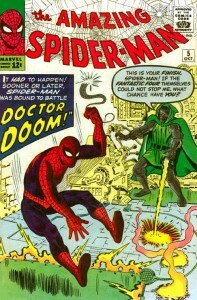 I always thought the timing of Spidey’s first Doom encounter was interesting. In the first four issue of ASM, Marvel went ahead and introduced four new villains, the Chameleon, Vulture, Doctor Octopus and Sandman. Doc Ock would go on to become an all-time great Marvel villain while Vulture and Sandman are arguably in the pantheon of top Spider-Man adversaries of all-time. Only the Chameleon, who appeared in ASM #1, is a likely candidate for a second-tier villain. Meanwhile, Doctor Doom had only been introduced in the Fantastic Four series about a year earlier (coincidentally enough in FF #5). Doom was clearly being set-up as the Four’s primary foe, but still, they brought him over to ASM a few issues in, probably to see how people responded to Spider-Man taking on a more “established” villain. 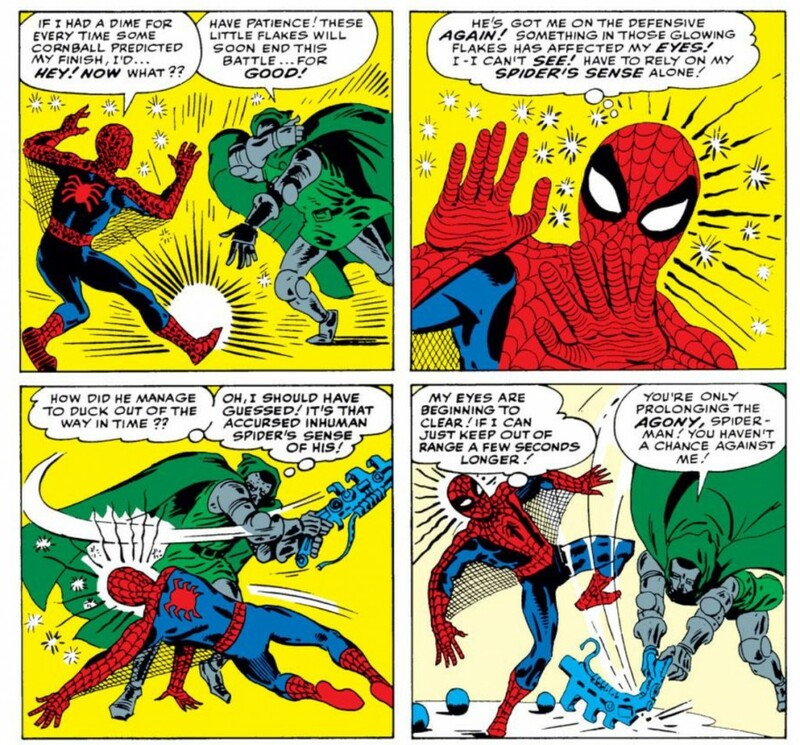 But Spider-Man would obviously go on to become such a phenomena, primarily because of the uniqueness of the character and his adversaries, I wonder in hindsight if bringing Doom into the mix so early actually made a difference for Marvel. That doesn’t take away from my long-time desire to own this issue. Honestly, anyone who calls themselves a comic book collector should want any of the first five issues of ASM, not to mention an early Marvel appearance of Doctor Doom. However, more personally, ASM #5 has been an active member of the Ginocchio comic book “stalking list.” Those of you who collect know what I’m talking about. A small handful of specific titles that you’re constantly watching, either on eBay or in stores, waiting for the moment where you find a copy in the condition you want for the price you want. More simply put, ASM #5 is one of those issues where I was ready to buy the microsecond a deal I couldn’t resist presented itself. Definitely a “purchase first, ask questions later” issue for me. Yet, it’s eluded me for so long. Go figure. Adding to the lore and aura of now owning this issue is the person who purchased this for me. Somehow, some way, my Internet-phobic mother made her way online and found this issue. I have no idea how that happened, and I’m not about to ask questions about it. I’ll just quietly note to myself years from now when I decide to gaze longingly at this issue again (and again) that my 30th birthday was the perfect excuse for my mom to treat me like a little kid again.